St. Patrick’s traces its beginnings back to the 1850s when Irish immigrants began to settle in the area, attracted by the natural beauty of the region and the availability of farm land. Some of the immigrants came directly from Ireland while others had been living near the East Coast before coming to the area. 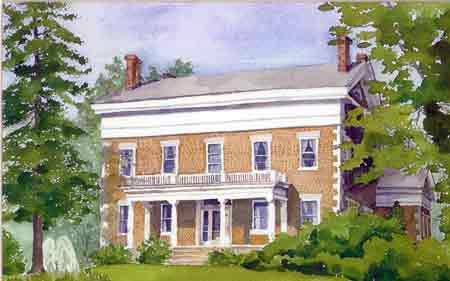 Among the Irish families were the Crean, Flaherty, Gleason and Trant families whose descendants continue to live in the area. 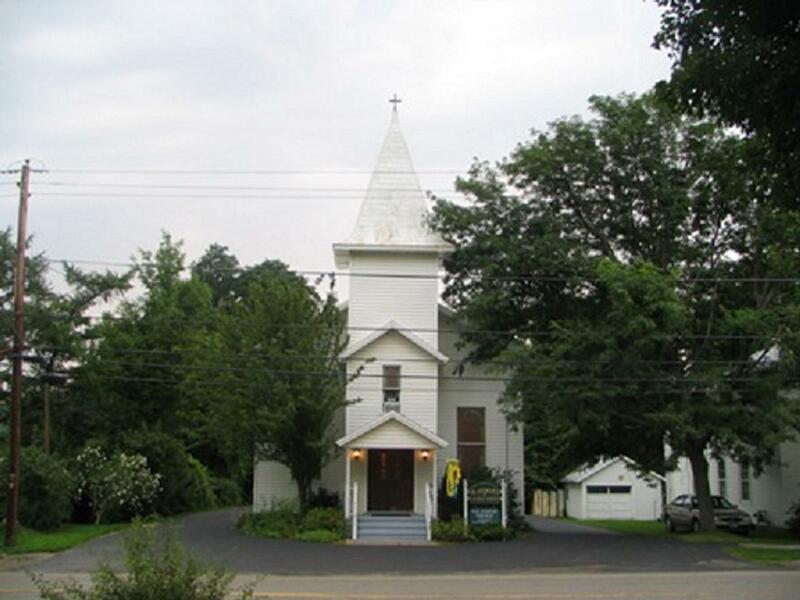 In 1851-1852, the Catholics of Prattsburgh were served by Fr. John Gilbride, who came from Penn Yan. The land on which the present church stands was purchased in 1860. 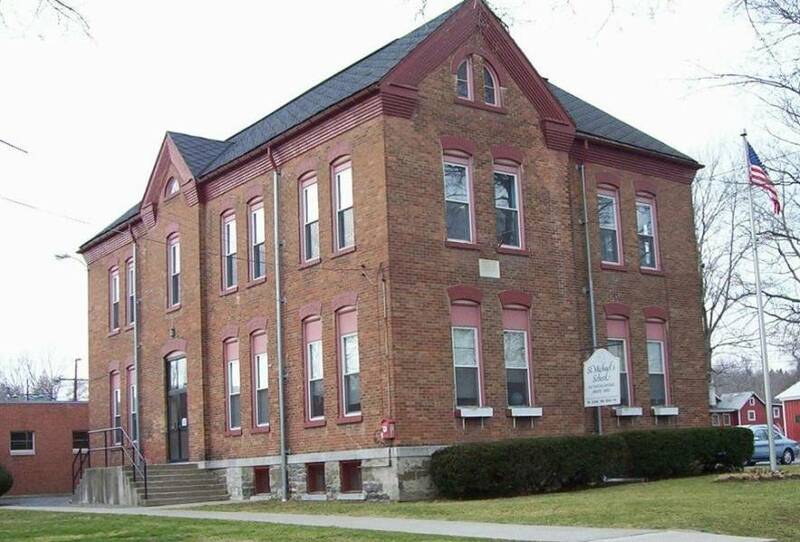 The church building, which is still in use today, was built in 1868. 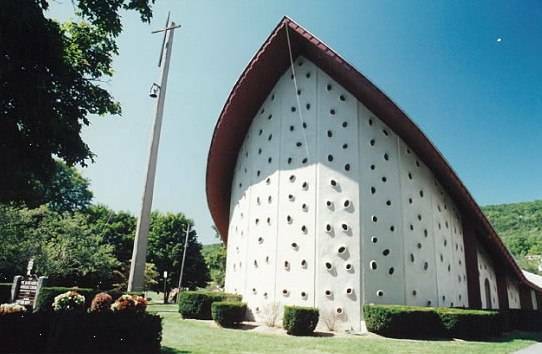 Over the years, it has been enlarged and a downstairs parish hall added (for which the basement was dug after the church was already in use). Over time the people were served by priests from Bath until St. Patrick’s became a mission parish of St. Gabriel’s in Hammondsport in 1880. In 1895, about 75 families made up the parish. 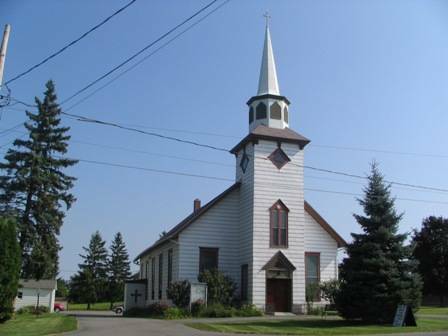 Shortly after the turn of the century, the number of Catholics began to increase with the influx of many Polish families, who were attracted by the luxuriant farm land, just as the Irish settlers before them had been. Again, in the 1940s, the population increased with the discovery of the value of farming the neighboring muck land. In 1994, St. Patrick’s ceased to be a mission parish of St. Gabriel’s and joined with St. Januarius’ in Naples under the pastorship of Fr. Philip Billotte. 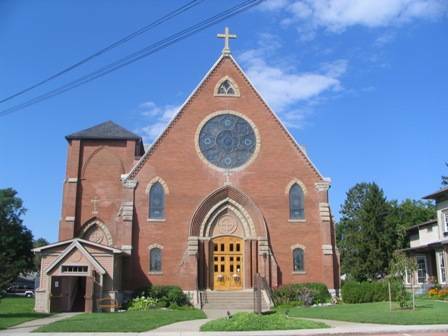 In 1998, both St. Januarius’ and St. Patrick’s became part of Our Lady of the Lakes Catholic Community. The crucifix in the basement once hung over the altar at St. Patrick’s Cathedral in Rochester, which was sold to Eastman Kodak for land development in the 1930s. Of course, the patron of St. Patrick’s is very well known in relation to the Irish. His feast day is March 17th. Here are three sites to read about him. Here is a list of the priests that have served St. Patrick’s as Pastor.